Michelle Dumas founded Distinctive Career Services, LLC (formerly Distinctive Documents) in 1996, one of the Internet’s longest-standing resume writing, personal branding, and career marketing firms. 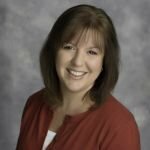 As one of only a handful of multiple certified professional resume writers, including the prestigious NCRW, CPRW, CPBS, CEIP, and JCTC credentials, Michelle is widely respected as an authority in the resume writing and employment services industries. What is it about resume writing that sets people's knees to knocking, anxiously sweating? In a competitive job market, the anxiety only deepens. Is everything worded correctly? Am I remembering every detail? I know I've missed a simple spelling error. Wait--I spelled my name wrong?! Related: Improve Your Resume Results With These 5 P’s Of Resume Writing The truth is, before the resume ever reaches the hiring manager's desk, prospective employees are first in competition with their own way of thinking. Getting past fears and insecurities is the groundwork that must be laid. Settling the debate in your own mind that you've presented yourself at your very best is a starting point toward presenting a captivating, confident option to employers and generating interviews that result in dream-job offers. So the question is: how do you get to that point? How do you get to the point where you are confident that your resume is effective in helping you stand out from the crowd? After all, you don't want to 'almost' be the best choice: you want to be THE person who can meet the challenges, solve the problems, and excel at the offered job. Let's take a fresh look at your resume, to look through the lens of some of the best strategies and solutions and determine what can be done to transform your resume from flat and boring to fully the best. The first challenge with your resume is getting it in the hands of an actual person. Over the past decade, getting through applicant tracking systems (ATS) by including the right key words has become the holy grail of job seekers. The palace guards were put in place so that overloaded hiring managers could keep out the riffraff. Related: 5 Key Resume Writing Tips For The Over 50 Job Seeker And it was necessary. Surveys report that more than half (some say a LOT more than half) of the resumes submitted for any job posting are from completely unqualified candidates. The ATS is meant to boil down the deluge to an actual candidate pool. As a job seeker, you should be concerned with and aware of how your resume will make it past the guards. As a serious professional, you need to take your resume further. Make sure that when it makes it to the hands of an actual person, it will impress and get you to the next step. 1. Trim your resume to the most recent 20 years. Forget the old-school thinking that you have to put your whole history on your resume. It’s not an autobiography. It’s a marketing document – it needs to present you as a product that the employer wants to buy. They want to see how your recent accomplishments match up with what they need, and 30-year-old achievements appear outdated. If you say your PC experience is from 1985, they’ll think that you’re clueless about new technology. 2. Include relevant early experience in your summary. Trimming the dates doesn’t mean leaving out relevant experience, just be thoughtful in how you present it. Highlight those undated achievements in a beginning summary, or create a section at the end that lists additional experience. By adding the experience in semi-prose, you can leave off dates without drawing attention to the fact that you left off dates. 3. Be creative in how you list employment dates. 4. Include your education dates. A common error is leaving off education dates, which you might do to “fit in” with your younger competitors. But the resume reader expects your education date to “close the loop” on your experience. If you started your current career track the same year you earned your degree, but you don’t list that year on your education, it looks like you’re hiding it, which will immediately make the reader think that you’re older than your work experience indicates. UNLESS...you have a good strategic reason not to include the dates of your education. If you’re following these resume writing tips and shortening your resume to the most recent 20 years, your degree date might not make the cut. If so, include the degree, but leave off the date. Having the degree is much more important than the date you received it; don’t make the mistake of not listing your degree at all. 5. Highlight your achievements and what you can bring to the job. The most important of all the resume writing tips, no matter your age, is that you highlight your accomplishments and illustrate your unique value. Showcase achievements that demonstrate your experienced-earned credibility, judgment and decision-making abilities, range of professional contacts, work ethic and reliability. Dispel the ageist misconception that as an older worker you’re un-compromising or technologically inept. Touch on achievements that illustrate a high energy level, strong technical skills, and adaptability to change. Position yourself for the position by demonstrating that you are the perfect candidate for the job. Show how you’ll solve their problem, or fill their need. You’ll get their attention and age won’t be an issue. More important than following these resume writing tips, is this: Recognize your value. Be proud of your age. Your experience and perspective bring value to the workplace that your younger competitors can’t. Your self-assurance, confidence, and employment maturity will come across in your resume, your interviews and your manner. And when your resume is ready to go to market, schedule a resume review and consultation with me and I’ll help you to perfect it. This post was originally published at an earlier date. While a direct cause has yet to be proved, the research is clear. Humans’ attention spans are getting shorter. Just eight seconds or less according to recent research conducted by Microsoft, and this was more than 30% less than similar research had found ten years prior. Related: 7 Tips To Help Dust Off The Old Resume And Get It Ready For Your Job Search Now Realizing that, it isn’t shocking that a study conducted by The Ladders found that on average, recruiters spend only six seconds reviewing each resume. As we move deeper and deeper into the digital age, it is increasingly important that your resume is written and designed to account for these facts. Your resume should be written tightly, the content succinct. But graphics play a big role as well. Some frequently quoted statistics from a variety of researchers tell us that the human brain can see images that last for a mere 13 milliseconds and that our eyes can register 36,000 visual messages per hour. Further, people retain a memory of the information they have learned through a graphic far more effectively than information learned through words. It is for these reasons that infographic resumes are so popular now, and a handful of professional resume writers, myself included, have started offering the development of infographic resumes as an option. Of course, infographic resumes are not right for everyone. But, infographic elements can be used to greatly enhance the eye appeal of even the most traditional resumes. Here are some tips to help you incorporate infographic elements in your own resume. The #1 thing an employer is looking for on your resume… Can you guess what it might be? Related: How To Create A Resume That Captures The Hearts And Minds (And Job Offers) Of Employers A title that matches the position they need? A certain school? Perhaps their alma mater? The name of an impressive past employer? Wrong. Wrong. And wrong. Sorry. The most important thing an employer is looking for on your resume, whether they’re the recruiter or the hiring manager, is... ROI. More specifically, return on investment. No matter what industry you’re in, or where your expertise lies, every hire is an investment of time and money. Every employer wants to see a return on that investment and they want it to far exceed the amount invested. If you think this only applies to hiring sales people or executives, think again. Every position brings value to the company that can be measured monetarily. How else would they be able to determine your salary or justify you on the books? To make sure you show ROI on your resume, you have to understand the bottom line returns the employer is seeking for the posted position. Let me tell you a story. Did your ears prick up? Are you paying attention now? Whether it’s watching TV or a movie, reading a book, or hanging around the water cooler to hear tales from your colleagues, we love stories. Related: 5 Tips To Make Your Resume Stand Out Why? Science says it’s because stories developed as an efficient way of communicating. But that doesn’t really explain why we love them. It’s because stories connect us. They touch our hearts and minds in a way that feels familiar. And that familiarity bonds the reader to the storyteller, even if just for a few minutes. That’s what you want your resume to do. You want to tell a story that bonds you to the reader long enough for them to pick up the phone and call you. This is a powerful strategy taken directly out of the playbook of the best professional resume writers. It is a strategy that I use extensively in my professional resume writing company, to produce extraordinary results for my clients. Use story-telling techniques to create a resume that’s compelling and captures the hearts and minds of employers. Are you struggling to get results in your job search, using a resume that just doesn’t seem to be working quite as hard for you as you hoped it would? Related: 5 Must-Read Resume Writing Tips You aren’t alone! I consult with frustrated job hunters in my resume writing services practice every day!